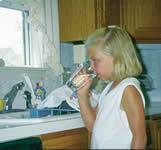 WASHINGTON, DC, June 11, 2003 (ENS) - Many Americans take the safety of their tap water for granted, but that faith could be misguided. In a report released today, the Natural Resources Defense Council (NRDC) says that aging infrastructure, source water pollution and outdated treatment technology are combining to increase the potential health risks from public drinking water for many residents in 19 of the nation's largest cities. NRDC's review of tap water quality in 19 municipalities rated three problem areas - water quality and compliance, source water protection, and right-to-know compliance. The report "What's on Tap? Grading Drinking Water in U.S. Cities" finds that although drinking water purity has improved slightly during the past 15 years in most cities, overall tap water quality varies widely from city to city and many cities are failing to take long term steps needed to ensure the safety of their water supplies. "Clean drinking water has been one of the major public health triumphs of the past 100 years," said Dr. David Ozonoff, a professor at Boston University's School of Public Health. "We have figured out how to build very efficient water delivery systems," Ozonoff explained. "But these systems can either provide safe drinking water, or deliver poisons and harmful organisms into every home, school and workplace. One misstep can lead to disaster, so we must vigorously protect our watersheds and use the best technology to purify our tap water." The report calls for increased investment in infrastructure to upgrade deteriorating water systems and modernize treatment techniques, and for the U.S. Environmental Protection Agency (EPA) to strengthen and enforce existing health standards and develop new standards for contaminants that remain unregulated. In addition, it recommends that state and municipal authorities adopt standards, and purchase land or easements that restrict land use to safeguard water as well as protect watersheds and areas above aquifers draining into water supplies. It details that healthy city water supplies in the United States resemble each other in three distinct ways - they have good source water protection, treatment, and maintenance and operation of the system. For example, of the 19 cities reviewed by the report, only Chicago's water quality was rated "excellent" in 2001. Five cities rated good, eight rated fair and five rated poor. None failed, but the citizens within the five cities rated poor - Albuquerque, Boston, Fresno, Phoenix and San Francisco - are drinking tap water is sufficiently contaminated so as to pose potential health risks. 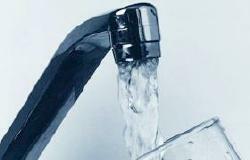 In particular, pregnant women, infants, children, the elderly and individuals with compromised immune systems face health risks from tap water in these cities, according to the report. The report found an increase in the frequency of periodic spikes in contamination in many cities, an indication that aging equipment and infrastructure may be inadequate to handle today's contaminant loads or spills. The upgrades and repairs needed to ensure the safety of drinking water nationwide would be costly, the report says, but they are necessary. NRDC estimates the nationwide cost could be as high as $500 billion. Although it documented only a small number of cities that were in outright violation of national standards, the organization says this does not imply low contaminant levels but rather low standards. It cites the new EPA standard for arsenic, which decreased the legal level of 50 parts per billion (ppb) - set in 1942 - to 10 ppb, starting in 2006. But the new standard, which has been the source of much controversy, is a level that the National Academy of Sciences says presents a lifetime fatal cancer risk of about 1 in 333. This risk, NRDC says, is 30 times greater than what the EPA generally considers acceptable and more than three times the 3 ppb standard the agency determined was feasible. "The mere fact that a city may meet the federal standard for arsenic - or other high-risk contaminants with weak standards - does not necessarily mean the water is safe," according to the report. NRDC says the EPA should issue new standards for perchlorate, radon, distribution systems and groundwater microbes. Existing standards for arsenic, atrazine/total trizenes, chromium, cryptosporidium and other pathogens, fluoride, halo acetic acids, lead and total trihalomethandes should be strengthened, the report finds. Protecting lakes, streams and groundwater that serve as key drinking water sources is a critical component of a safe water supply. There is a wide range of possible contaminants that can plague source waters, including municipal sewage, storm water runoff, pesticides and fertilizer runoff, as well as industrial pollution. NRDC's evaluations of the 19 cities found only Seattle rated excellent for protecting source water. Four cities received a rating of good, four received a fair rating, and seven rated poor. The city of Fresno, California, which relies on wells, received a failing grade. The report found these wells have become seriously contaminated by agricultural and industrial pollution. None of the surveyed cities received an excellent rating for mandated right-to-know reports, which are designed to inform residents about water system problems. NRDC rated eight good, six fair, three poor, and two - Newark, New Jersey, and Phoenix, Arizona, - failed. These reports are required under the 1996 amendments to the Safe Drinking Water Act, which forces water suppliers to notify the public of dangers in tap water and inform people about the overall health of their watershed. But the report details that "in many cases, right-to-know reports have become propaganda for water suppliers, and the enormous promise of right-to-know reports has not been achieved." 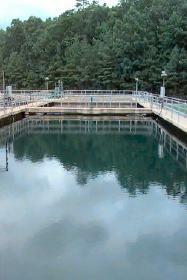 The report warns that actions by the Bush administration could further threaten the purity of the nation's tap water. It notes an administration proposal to limit the scope of the Clean Water Act and notes that the Bush administration has declined to strengthen tap water standards or issue new ones for contaminants and has cut funding for water quality protection programs. In addition, NRDC criticizes the administration for its refusal to reinstate a Superfund law provision that forces corporations to pay into a fund to clean up hazardous waste sites, which can affect important drinking water sources. "The Bush administration is more concerned about protecting corporate polluters than protecting public health," said Erik Olson, the report's principal author and a senior attorney with NRDC's Public Health Program. "Proposals to end Clean Water Act protection for most streams, creeks and wetlands will jeopardize city efforts to provide pure drinking water for its residents."